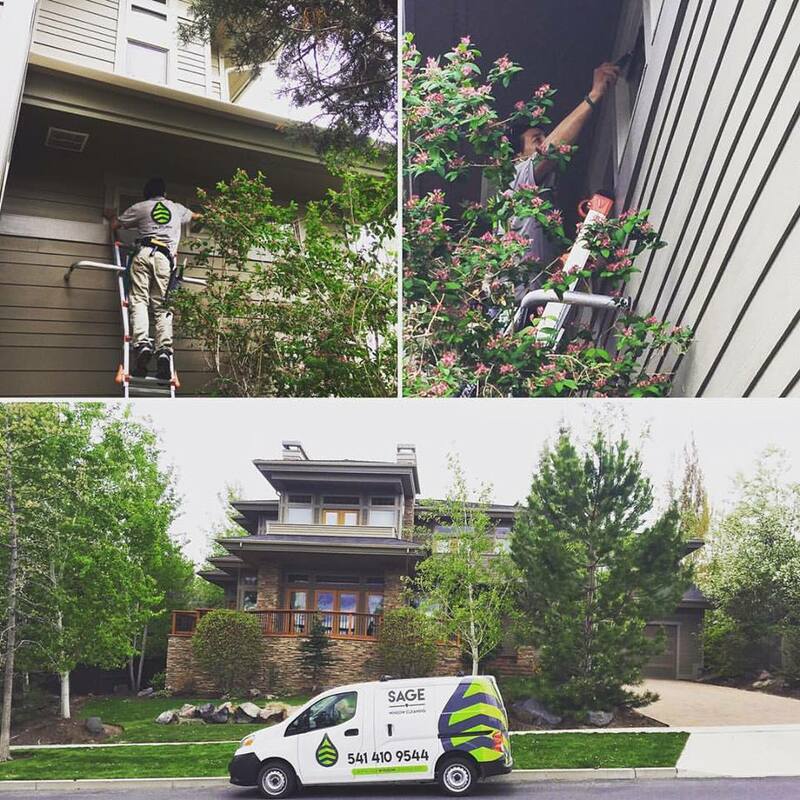 Sage Window Cleaning - Bend Oregon Residential Window Cleaning - Sage Window Cleaning Inc.
​Let the experts at Sage Window Cleaning brighten your home! ​Sage Window Cleaning offers the very best service in Bend Window Cleaning and we guarantee you will be happy with our work. We can clean both inside and out or just one or the other. We believe in giving our customers a complete window cleaning experience, which includes cleaning your screens, sills, frames and tracks with no extra charges. We will arrive on time, fully uniformed, in a clearly marked vehicle and perform our window cleaning services with the highest degree of consistent quality and professionalism. Sage Window Cleaning provides a great service for a fair price and doesn't consider the job complete until the customer is 100% satisfied. We also offer a 7-day rain guarantee on all our window cleaning services. If you are unhappy with any of our services please call our office at 541.410.9544. For your protection Sage Window Cleaning is fully licensed, bonded and insured. We look forward to serving you!